Rabbi Yitzchak Schochet, M.A. is the rabbi of London’s Mill Hill Synagogue since 1993; under his leadership membership has grown to over 1400 members. Rabbi Schochet also serves as Honorary Principal of Rosh Pinah Primary School in Edgware and the Etz Chaim Jewish Primary School in Mill Hill. 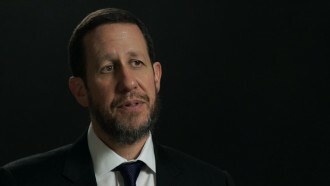 Rabbi Schochet serves on the Chief Rabbi’s Cabinet, served as vice-chairman of the Rabbinical Council of the United Synagogue for three years, and chairmen for three years. 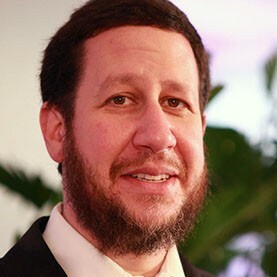 Rabbi Schochet is a columnist for the Jewish News, Diary Rabbi for The Guardian, and has published in The London Times, Time Magazine International. Named by The Jewish Telegraph as one of the ten most influential rabbis in the United Kingdom, Schochet is a regular panelist for the BBC’s The Big Question series. He lectures extensively throughout England, Continental Europe, North America, and Australia. Rabbi Schochet and his wife, Chani - a London native – have five children. If you knew your loved one was okay, albeit faraway, would you feel better? If you knew that your loved one would receive your gifts, would you still give them? Rabbi Schochet recounts the the story of how the Rebbe comforted a father whose young child had passed away.